Official GBULLION Blog: You can become an Independent Consultant in GBULLION for free! You can become an Independent Consultant in GBULLION for free! In April 2011 Payments System GBULLION is launching a promotion, which offers a status of an Independent Consultant without the start up fee. On top of that, GBULLION's most successful partner will receive a valuable present. Between 1st of April and until the end of the month, it is possible to join GBULLION's Partnership Program completely free of charge. This allows to earn in the investment domain by attracting new clients to the system and forming personal net of partners- all, without any initial financial input. 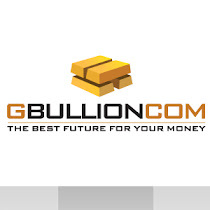 GBULLION's Independent Consultant attracts new users and distributes special welcome-coupons that allow sale and purchase of gold within GBULLION at bargain prices. Those clients, who register in the system without the help of a Consultant, do not get such privileges. Commission-based benefits partners of GBULLION receive derive from two main components: one-time payments for attracting each new client and part of the system's commission from these clients' transactions. Also, Independent Consultants can gather their own team and receive percentage of team members' incomes. This spring GBULLION offers a special bonus to its most active partner. Independent Consultant, whose link will be used for most registrations between 1st April and 29th May, will receive the amazing internet tablet- iPad2, which has become available to the general public on the 2nd of March this year.